CNN might be preparing to sue the White House after the Trump administration revoked reporter Jim Acosta’s media credentials. 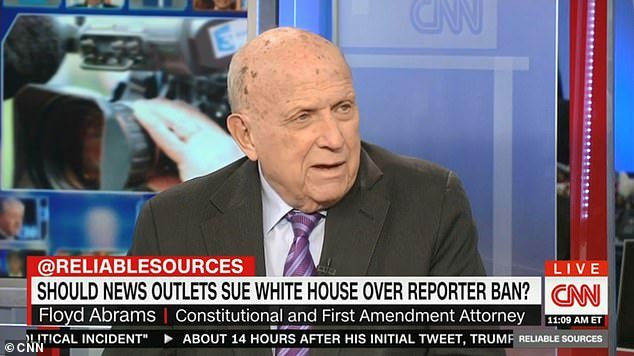 Floyd Abrams, a veteran lawyer, an expert in First Amendment law told CNN’s Reliable Sources on Sunday that the network had a strong case after Acosta’s press access was revoked last week. ‘I think it’s a really strong lawsuit,’ Abrams said. 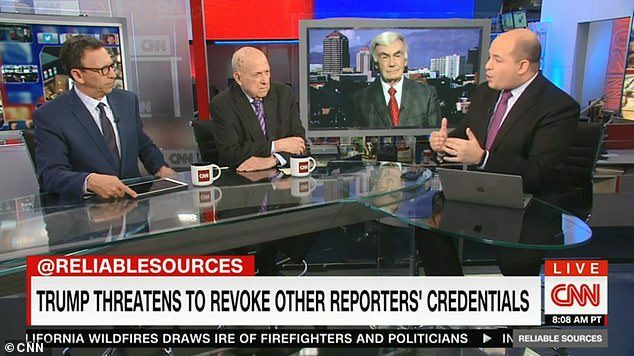 Former ABC News reporter and anchor Sam Donaldson also appeared on the program and revealed he had been asked to help prepare an affidavit to support CNN’s case. He described the decision to ban Acosta as ‘not only wrong and unfair’ but also ‘dangerous for the press as a whole’. While he initially said he understood CNN and Acosta had already filed the lawsuit, the network later clarified that a decision has not yet been made in regards to legal action. ‘No decisions have been made. We have reached out to the White House and gotten no response,’ CNN said in a statement. 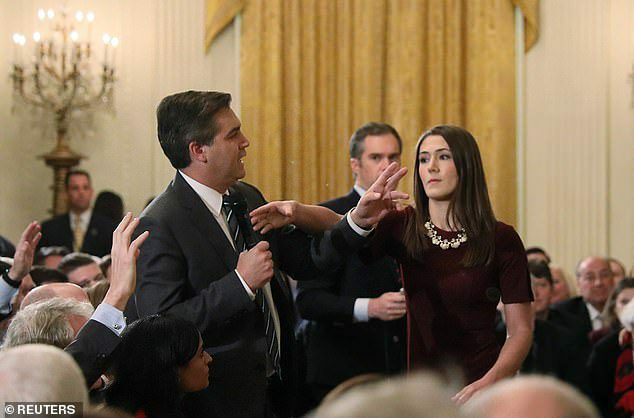 Acosta was banned from the White House last week after a heated exchange with President Trump during a press conference. Trump later denied suggestions that a White House-released video depicting contact between a young intern and Acosta was not altered. The president insisted that the video distributed by White House press secretary Sarah Huckabee Sanders was simply a ‘close-up’ and ‘was not doctored’. 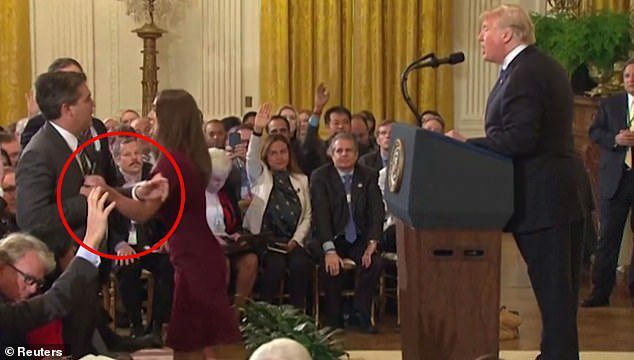 A frame-by-frame comparison with an Associated Press video of the incident at Trump’s post-election news conference on Wednesday shows that the video tweeted by Sanders appears to speed up Acosta’s arm movement when he makes contact with an intern who was trying to take away his microphone. Trump, speaking on Friday, also did not back off his administration’s decision to suspend Acosta’s press credential, which allows the CNN correspondent access to the White House grounds. ‘He’s a very unprofessional guy. I don’t think he’s a smart person but he has a loud voice,’ Trump told reporters in a testy 20-plus-minute exchange before he left for Paris. He said he had not decided if Acosta’s pass would be reinstated and suggested there ‘could be others’ who lose their credentials. Despite losing his White House pass, Acosta traveled to Paris to cover Trump’s trip to meet world leaders.